Please let us know what we can help you with. Your email will be kept confidential. Inner Arts Collective is located in the thriving Riverdale neighbourhood on the Danforth nestled East of Broadview and West of Chester, between the Big Carrot and Danforth Music Hall. We are conveniently located close to the DVP, 401 and the Gardiner, for those that drive. There is also a public parking lot nearing completion across the road from our building! 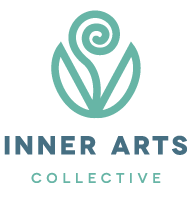 Located on the Yonge subway line, Inner Arts Collective is directly accessible by the Bloor-Danforth subway line. To learn how to arrive by public transit, go to the Toronto Transit Commission's "Trip Planner", which also provides details around accessibility and construction advisories.